Earlier the private hospitals and corporate pharmaceutical manufacturers who are only aimed at making profits were not allowed to venture in to medical education sector as they were bound by a clause of providing free healthcare seeking no profits. This clause is the main reason for not many to establish the medical colleges as is the case with the establishing of engineering colleges in the country. “Establishing medical college is not as simple as that of an engineering college or any other normal colleges as it is concerned with the human healthcare. The medical colleges have to undergo strict regulatory norms in terms of faculty, facilities, patient care aspects, medicines, surgeries, medical equipments etc. This involves a lot of investment and at the same time highly standardised facilities and norms,” opined Dr Bhaskar, from Rose Well Hospital. According to healthcare experts and education system analysts, though the central government’s move is aimed at increasing more number of medical colleges indented towards enhancing the doctor patient ratio in the country, absence of stringent regulatory system may impact the quality of health education. “Recently we have been hearing the news of many private colleges not having proper teaching faculty or other infrastructure facilities in the medical college hospitals. First the MCI should focus its concentration on improving quality by drafting a strict and regular inspecting mechanism in the colleges. 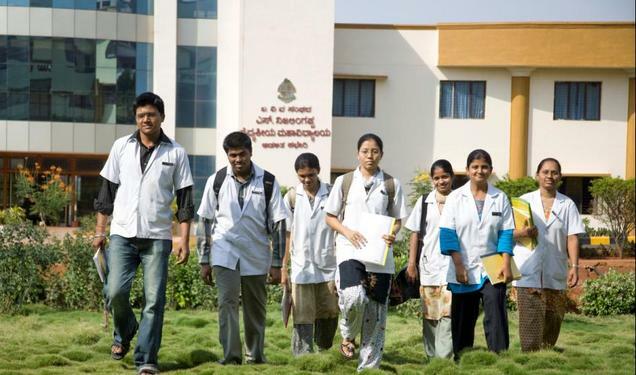 If not, the medical education system may become another money making business by the corporate,” opined Chandulal, a senior professor from Osmania University Medical College. Now, as the Union health ministry allowed the MCI to ease norms and asked the medical council to remove the clause of ‘not for profit making’, it may attract all the profit oriented business investors to invest in the medical education system. “In fact this move is a positive to increase the doctors’ count which may help to strengthen the rural healthcare system. However this change in the medical education regulation is expected to bring in a large number of private players to venture into setting up of medical colleges. But, one has to be cautious and the government should also be vigilant in regulating the quality of education and medical ethics among the new establishments,” opined Dr Priyanka, a medical student preparing for post graduate medicine.